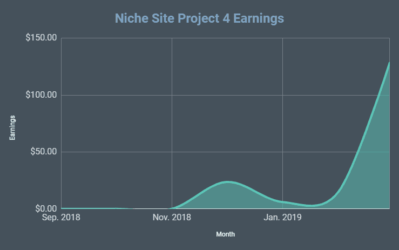 Last week, Perrin and I shared the most recent income report for the niche site project 2 site; aPennyShaved.com. 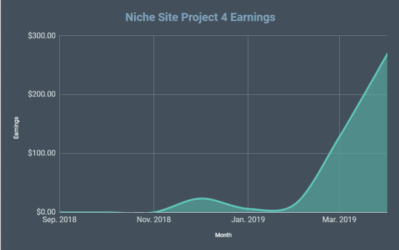 Overall, the growth of the site has been impressive, and the site earned over $1,300 in the month February, and is well on its way to earning more during March. One of the tactics that Perrin discussed for helping his site recover from a slight loss in rankings was RankHero. Essentially, after seeing a decrease in traffic and rankings for about a week, Perrin decided to try a few Rank Hero links to see if the the site would recover. Sure enough, it did! As you know, Rank Hero is a private blog network owned by Hayden (and his company) and I. We've put a lot of effort into finding high value domains and have refined our processes for finding spam free domains. 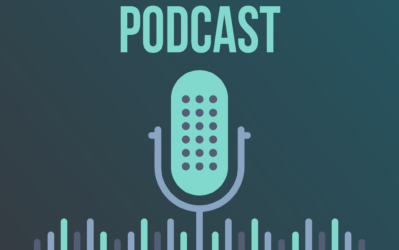 Today, I'd like to discuss the importance of looking at more than just the PA or DA (PageAuthority of Domain Authority) of a domain. Just because you find a domain that has great metrics, doesn't mean that its a good domain to include in your own PBN (Private blog network). In fact, if you are including domains that have link spam pointing to them, its very possible that you will be hurting yourself (getting a penalty) by using the domain. I've looked at my share of domains, and have just a few general principle to pass on. 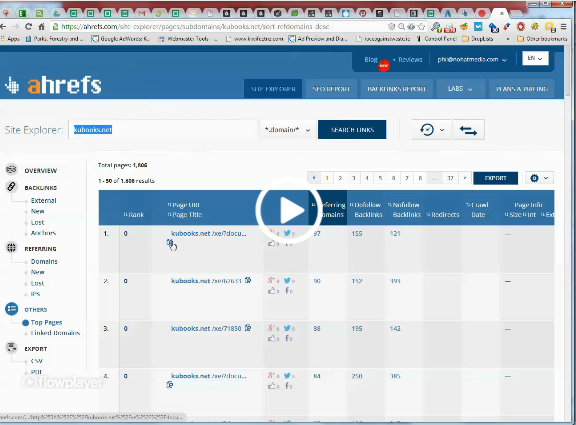 However, Hayden of NoHatSEO.com recently shared a video (below) that will give you an in-depth guide to spam checking expired domains. This truly is a crucial step to finding domains that carry any value. Hayden is the expert when it comes to spam checking, so check out the video below for the complete guide to spam checking domains. Lots of spammy anchor text – like pills, gambling, foreign, or adult phrases. Heavy anchor text for any one keyword phrase is a red flag: particulary if its a product/seo type keyword. A few common market with spammy anchor text to avoid are: payday loans, ugg boots, louis vuitton, or other obvious phrases. Spammy sounding domain name. You can usually save yourself a lot of headache by simply skipping over (and not checking the backlink profile) of domains that sound spammy. For example, domains that are over 4 or 5 words, or have lots of dashes, or sound like an affiliate marketer owned it. Generally speaking domains that have lots of keywords in them (EMDs) should be avoided when looking for quality expired domains. Domains that have been owned by an SEO or affiliate marketer that they are allowing to expire are likely domains that they spammed with links trying to rank higher in Google. That's not the type of link profile you want. These are clearly just some general rules that won't answer every situation. I wanted to just show a quick screenshot of a list of domains on ExpiredDomains.net. In this screenshot, I have NOT taken a look at any of the link profiles. However, by just looking at the domain name itself, I can tell which ones I would look at first, and which ones I wouldn't even look at all…purely based on the domain name. So out of this list of 25 domains, I was able to cross out 20 as MOST LIKELY spammy purely based on the domain name itself. Now, I want to be very clear: I am NOT saying that the remaining 5 domains are good. I am just saying that their domains didn't sound spammy enough for me to cross them off right away. The next step would be for me to actually look at their link profiles to determine if they can pass that test (as shown in the video from Hayden). Its very possible that none of the domains from this screenshot are free of spam. (I didn't look at the link profiles, this was simply an exercise to show how to spam a spammy domain, simply based on the domain name). Unfortunately, finding a spam free domain with a clean link profile is not easy. In fact, its so time consuming that I've actually used services that will find domains for you. I recently asked an “SEO” service to find 5 domains for me all with PA 35+; because they were advertising this service on their site. They did indeed find me 5 domains that met all of the metrics, but they were far from being spam free…which is what was advertised. In fact, at least 3 of the 5 domains I could tell would be spammy by simply looking at the domain name themselves! (Just like my example above). Upon looking at all the link profiles, all 5 of the domains were not usable because of the spammy anchor text or other reasons. I had to kindly ask for a refund, and am grateful that I received a full refund from this service. (To clarify, the service I had a poor experience with is NOT Jon Haver's service on AuthorityWebsiteIncome.com). In addition, a little while ago I tried out a link building service that is quite well known. I was well aware that they would be using their own PBN to build links to my site, so I was excited for some great results. However, after the first month, I got a report back and my heart sank! The domains themselves were okay, but the way in which they built the links was spammy! I essentially got a link from a page with little to no content AND the link was placed with 20 to 30 other websites, all just a link with some anchor text. Wow. That's all I can say. I obviously cancelled that service right away and have not been back since. I will say that its been several months since I used that service, so perhaps they have learned how to effectively link build since then, but I don't know. Bottom line is that there is much more to building a successful PBN than just finding a domain that has all the right metrics. You need a domain that is spam free. Then when you have that spam free domain, you need to write quality, original, content and treat that domain like a real site! 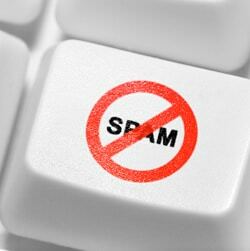 Overall, if you are going to be building out your own PBN, you need to make sure the domains you use are spam free. In addition, if you are going to use a service, these principles will help you know if you are getting your money's worth or not. I would love to hear your thoughts on the subject! If you have any comments or questions, please feel free to join the discussion below. 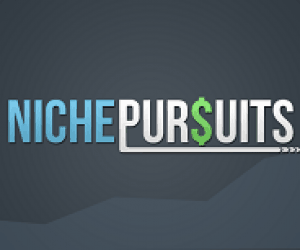 Top 7 Niche Business Ideas: What’s Working Right Now? Great article Spencer! Always learning new things thanks to you! What do you think about doing a 301 re-direct with a good expired domain name? Wouldn’t it be less time consuming then doing a PBN with articles posting to your niche site? I’m just intrigued to know as I am planning on buying a expired domain name and doing a 301 re-direct to my niche site, or would you recommend not to do this and just build a PBN pointing to niche sites? You can use a 301; but having more than one 301 redirect to your niche site would not look very natural; so its limited in use. My question is actually the same as Sarah. about 301 redirect. means we can only use one domain redirect? That’s great advice from Hayden as usual! I have a spam detection algorithm which combines identifying spammy sounding domains along with some moz metrics. It does a great job of identifying spam sites and really brings the cream to the top. I’m interested in learning more about your algorithm! Would you be willing to contact me through email? Let me know and I’ll post my info. Thanks! On a separate note, this article covers something I’ve been struggling with the for past few months. Thank you, Spencer, for posting this info! Click on my name above and use the contact form on my site. That way you don’t have to publish your contact info publicly. If you have Skype, send me your id so we can chat. Couldn’t you buy a spammy domain and then dissavow the links in Google webmaster tools? What’s the difference between buying a spammy domain and doing that, and having someone attack you for negative SEO and using the tool to dissavow those links? Seems like it’d be much, much easier to just buy clean domains in the first place. Why create extra work and more risk for yourself? I wouldn’t recommend it. Disavowing links can take months to go through, and google may decide to never actually disavow the links. And if you did disavow the links, that means the links no longer carry any weight, so its no different than having a brand new domain…not a good idea for building a pbn. Ok thanks for the advice. I was just wondering b/c I had paid about $400 for a pretty good domain and later found out it had been spammed before. I wonder how long, how much work it would be to build out 4-5 sites from scratch to create a PBN? It won’t be free, but if I could ad an article a day to 4 sites I wonder what the time investment and timeframe would be. Anyone have any experience with that? I’m building my own PBN, and I just pay for the content — usually 3 base articles per site @ $8/article. It’s really no problem to get a 5-site PBN up and running in a week or two. Perrin, can you perhaps recommend the writer you use at $8 per article please? And, what niches does he/she specialize in? I’ve been using HireWriters.com to get them for even a little cheaper than $8 per articles with pretty solid content. Just make sure you’re pretty detailed with instructions so they get it how you want. May I ask if they are native English-speaking? Thanks for the reply, Perrin. So you’re just starting with 3 articles each? What is your plan after that and how long do you think it will take for them to be established enough to provide juice? 3 articles should be fine but make sure you make it look like a real website and not some of the crap private blogs you see out there. Keep in mind those 3 articles should be your base articles that do NOT point to your money sites. After that, the articles to your money site provide link juice as soon as they get indexed. Perrin, do you put all your BPN sites on different hosting providers? That might be worth a blog post…techniques how to hide PBNs from Google? 1. 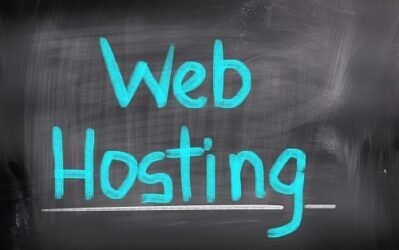 Yes, use different hosting providers. 2. Install different CMS (WP, Joomla, Drupal etc). 8. Don’t register domains on the same day. 9. 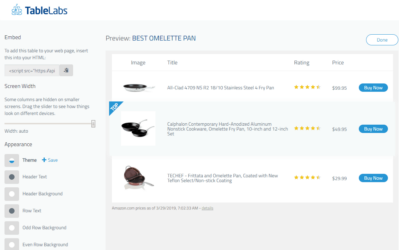 Use different credentials when buying hosting (e.g. yours, your souse, mom, dad etc). Whereas Google does not have the access to your billing info, they have access to whois info even if it is private (protected). Also, perhaps several domains on the same credentials is still fine. The idea is not to leave footprints, i.e. make each website as unique as possible. Guys, I appreciate if you add more your thoughts to this. hey Parrin, do you keep it at 3 base articles or build more over time. I have a few domains and was wondering how many pages to have and if only a few pages would lower my pagerank over time with a new update. Hayden’s domain launch process was an awesome little bonus for maximizing the value of your expired domains. Awesome! It looks like building and nurturing a PBN is the most assured way to ranking sites for now. I say for now because, who knows what Google is going to do about this PBN tactic. Anyway, I will like to know how one can build a PBN with expired domains based on a niche. I think the issue of relevance of links is going to be very important if not already. So, searching for non-spammy, good PR, good back links expired domains to buy, that are relevant to a niche you want to target, could be very difficult indeed, even if you have deep pockets. I really think it will be hard for the g men to stop this tactic without removing the linking aspect of their algorithms. I have basically started making real websites out of my network sites all the way to monitization. It’s kind of crazy now that I think about it, I build 15 sites for every site I want to rank. This shows you just how awesome the Google spam team is at their job. Spencer, Scraping the internet to find 40+ PA domains is near impossible without spam and without a definite pagerank. I know theres another method which you’re not telling us. But I’ll let the readers stay in suspense. So, you’re saying you know this other method? No other method than what I and Hayden have already shared. Hayden and his team have a sophisticated scraper/domain finding tool that they use to automate the process. This is a private tool though and there are no plans to ever make it public. There are other tools out there or people can develop their own. Very true Spencer. I’ve developed my own crawler and it’s really amazing what you can find when crawling millions of pages every few days. To some extent it is a numbers game, the more you can process the more you find. Plus the seed domains are very important. Old domains with lots of external links are the best. This also cuts down on spam. I agree with you both, to get this kind of domains you need an automatized tool. The good news it that you need nothing but a lot of patience to start finding acceptable domains for your first PBN. Another solution to obtain this kind of domains is hayden’s PBN, is a really good start point for people that need fast and reliable results. Hey Spencer, thanks for these insights! I haven’t built a PBN yet but one of my main niche sites is ranked #7 right now for a 9.900 keyword with haven four domains redirected to it. I also bought 15 high DA links but that’s running costly in the longterm. there are other issues ive recently come across that should be noted, as this is now quite popular. People are adding user agent blocks to the robots and htaccess files making it tough to see if there is spam on what looks like a quality domain. Ive recently been caught by this trap and after adding webmaster tools found it had a manual penalty, I got rid of the domain. I think one of the reason you don’t see people selling a tool is because a good crawler is very cpu and memory intensive so you really need to run it on a server. I’m not sure how many people would have the background to even set this up as you need to be comfortable with servers and databases. I guess you could run locally but it is slower and really best to have a dedicated machine. I run mine on Amazon’s cloud. I recently found 5 great dropped domains that I myself could not believe after I put them online. I regged one of them with no clue that it was once an auhority domain in its niche. That was so surprising to me that I actually made good choices. It is unbelievable to see such domains dropped. By the way, for those who don’t know, expired domain and dropped domain are two different things. an expired domain may still be regged by the owner for another 45 days after the expiry day, whereas a dropped domain is totally free to register. I always go for dropped domains because expired domains are on auction most of the time and I had a few bad stories with auctions since I believe auction companies assign robots to bid on some valuable domains against you. How many links per site is too much? You mentioned a PBN service that has 20-30 links – doesn’t Rankhero have 50+? Neel – to clarify in my post I mentioned a service that was putting 20-30 links PER POST. Meaning on one article, there were tons of outbound links – with little to know actual content…just links. Rank Hero on the other hand only allows 2 links maximum per post to your own site. So, its a stark difference. 2 links per article vs. 20 to 30 per article. So PBN is still great in relation to link buildings. Looks like the video file has been removed. Can I have an alternate link please? I just checked, and the video is working just fine. The video is still up on Hayden’s blog (which is where I link to in the post). I’ve been using expireddomains.net for about two months now and have a saved filter that I check every evening. At first it took me about two hours to go through all the lists, but with a little bit of tweaking and experience I have it down to about 30 mins. As Spencer points out, the vast majority can be completely skipped because of the actual domain name. Most days I find nothing that would be worth my interest, but I would say that I have been averaging between 1 and 2 domains a week. It is definitely the way to go though, especially with the very small investment needed. To put it in perspective, in early January I picked up two great expired domains for the registration fee and I put them on separate $1 hosting accounts and added 5 articles each. Total cost $44 and 4 hours to write articles and set up the sites. Once I pointed them at a small Adsense site with 10 indexed pages I saw Adsense revenue jump from $15/m to $80/m practically over night. My main advice would be to have patience. More than 99% of all expired domains are rubbish, so always look for reasons to not grab one, rather than excuse away some potential spam. Great tips, Chris. I’ve been wondering about the $1 hosting. Are you finding them reliable? Can you recommend some that you like? Even you had bad experiences with those link services, i still think it is one of the best thing to do to free yourself from building backlinks. I had success with these outsource. You just need to dig deeper and find those private PBN. Those links are super powerful to rank your keywords. What do you think about buying expired domains and 301 redirecting them to money site? Matt Cutts once said it is ok to 301 some domains to main site but he also advised it is no ggod idea to make 301 chains, like one domain to another and than that domain to another and another etc. Maybe you should cover this topic for you next article. What do yu think? ”How to 301 redirect dropped domains to money site” would be a good title to start with. I should add that I am planning to 301 some of my dropped domains to my money site to give it boost. I think you can do that – although I personally haven’t experimented much with doing 301s; so not sure I could write an authoritative post on it. however I think the video could have been summarized in a few paragraph. As for link build I personally think everyone should just not touch I have created sites from scratch and build no links and it just ranked naturally. You ever re-brand any of your expired domains entirely, or simply just use exact match keyword title anchors for each post? Even if it makes the site look like its completely and obviously a PBN? I understand link injection but sometimes sites are so unrelated to your money sites link injection almost seems as “obvious” as it would too simply completely rebrand or use exact title anchors. I’m a small fry unlike you and Hayden so when I find a spam free high DA domain I can’t be picky. I’ve got a few sites so far out there like biochemical or political, where its very hard to link inject to an amazon site. I don’t use exact match anchors almost ever. I use generic anchor text, partial match, or completely non-match anchor text in my PBNs, so it does look very natural. You don’t want to use exact match anchor text anymore for link building. I’ve asked Hayden the question, but he didn’t answered, so I’ll put it here, maybe he or you will here . Google will treat bulk 301 redirects to the home page as 404s, or soft 404s at best. How do you deal with that? By 301 redirecting a large number of pages to a single URL that is not releated with the old URL, Google may simply drop the old URLs from its index without passing any link juice at all. I have some solutions, was wandering how do you deal with this situation, because many people don’t know about the soft 404 , and are simply setting a wp redirection plugin, that will 301 redirect all 404 pages to homepage, and in most cases the new blog doesn’t have anything releated with the old domain. The bottom line is that it still works very well (using expired domains). Rather than bulk redirecting, you can redirect just a few of the most powerful pages to where you want. That way you could avoid what you are mentioning. Hey Spencer, I’m doing something similar. In my opinion google will hit most of PBN’s because the bulk 404 redirect, and unrelated content with the incoming link pages. Most PBN domains has no relation with the old domains. But there are different ways to get safe. One way is to get all top pages form ahref or majesticseo, and rebuild the pages, with relevant content. In most cases you will have 5-10 pages that have 90% of good backlinks. Another tweak you can do is to add a short “about us” widget in sidebar, that has a relation with the overall theme of the old domain. The widget will show up on all pages. And of course the content to be related with the overall theme of the old domain. And of course there are some other tweaks, that I don’t discuss in public, but the point is there are solutions around this problem. RankHero sounds like a good way to bounce back. I’m curious how long after an article gets posted on RankHero does it typically take for Google to index your new links so they will help your site actually recover? A few days to a week typically. Thanks for this guide. I should have seen this guide sooner though. I’ve bought a domain and placed some quality content on it. However it wasnt ranking for months, despite my research for it. Then i started to look back in the registrar history and saw spammy history. I havent taken the time to get rid of the history but will do the next months. What sites do you recommend to use to find expiring domains? Any tricks you can share with me? Other tools I should be using? Spencer – good info. We often come across domains that has expired but at some stage in the process were redirecting to a less than desirable site, typically a Chinese manufacturing site or something similar. These sites often still have solid PA and DA, no spammy incoming links etc. How does this impact the effectiveness of a domain like this for PBN purposes? Obviously that’s less than ideal. I usually avoid if I see anything like that. But its hard to know for sure how google views everything.